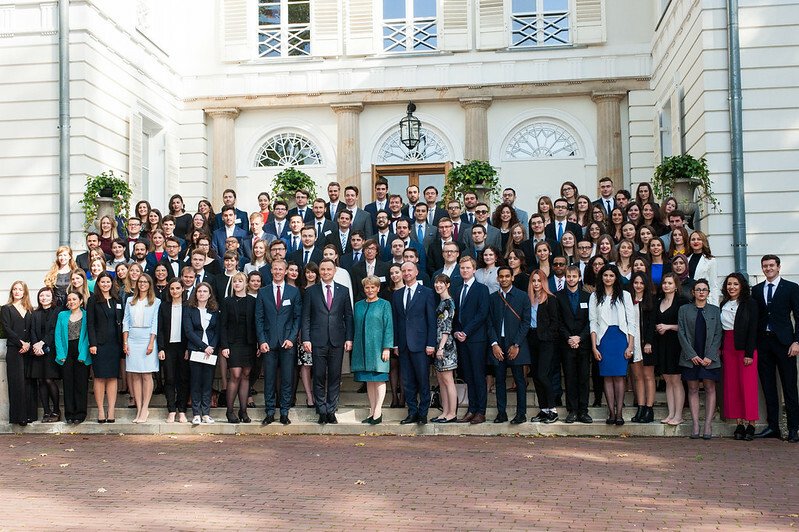 The Opening Ceremony of the academic year 2017-2018 at the College of Europe, Natolin campus, took place in the Auditorium Copernicus and at the Natolin Palace and Gardens on Friday 29 September 2017. Our guest of honour was the President of the Republic of Poland, Mr Andrzej DUDA. The ceremony started with the Natolin Choir singing the European Anthem. Following this, Mrs Ewa OŚNIECKA-TAMECKA, Vice-Rector of the College of Europe, recalled the history and mission of the College of Europe and the Natolin campus, she presented Simone VEIL, Patron of the Promotion 2017-2018, and introduced the guest of honour President Andrzej DUDA. To learn more about President Andrzej DUDA and his speech, please visit his official website (in Polish). The speech of the Vice-Rector, Mrs Ewa OŚNIECKA-TAMECKA, is available here.